If you’ve got a busy morning, you may find yourself choking down that cup of coffee so you can rush off to work before rush hour. A perfectly good cup of coffee and a wonderful morning routine RUINED by a hectic schedule! Or, you can take your coffee to work and enjoy it in the comfort of your car. With a good travel mug, you can bring your coffee with you and keep it warm while you’re driving. If you find yourself in traffic, it’s the perfect time to savor every sip. A good thermos mug will ensure your cup of coffee is fresh and delicious by the time you get the work. Below, we’ve gathered a few of the best travel coffee mugs for you to consider. These mugs are perfect for busy professionals who must have that perfect cup of coffee in the morning, but who have to rush out the door. They’re the perfect win-win! If you’re looking for a travel mug designed for convenience and comfort, this is the one you want! First off, let’s talk design! It’s slim, sleek, and beautiful, and it fits nicely into just about any car cupholder. It’s bottom-heavy, so you won’t have to worry about it toppling over as you drive. It comes in 10 colors and styles, and the stainless steel exterior is able to handle heavy use. If you’re the kind of person who takes their coffee cup anywhere, this mug is your best friend. For those who hate tepid coffee, you’ll love this mug! The double-wall vacuum-insulated mug will keep your coffee hot for up to 5 hours. (If you’re an ice coffee person, you get 12 hours of chill). 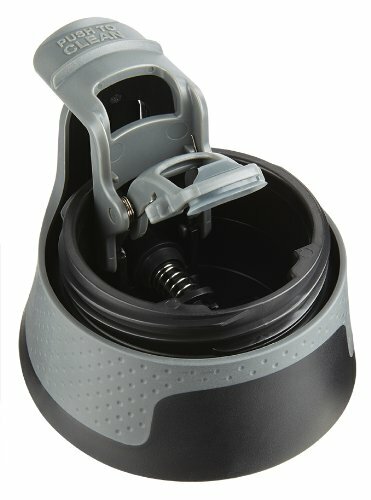 The AUTOSEAL lid (patented by Contigo) is designed to reduce spills and drips. You press the button to drink, then it automatically seals to prevent the coffee from leaking. There is even a lid lock to prevent the AUTOSEAL button from being accidentally pressed. It’s as leak-proof and mess-free as you could ask for from a coffee mug! The mug comes in three sizes: 16, 20, and 24 ounces. It’s able to handle all the coffee you want to take on the go. The painted exterior may begin to chip/peel with regular use and washing. The lid is difficult to fully clean; may retain coffee residue/stains. This mug will run you just over $16—a pretty reasonable price to pay, all things considered. It will keep your coffee hot or cold as desired, is designed to be spill-resistant, and makes it easier to have your coffee on the go. Check out the latest prices and deals here! This bad boy is perfect for those who want a lot of coffee on the go—it holds up to 20 ounces of piping hot coffee! Unlike the Contigo, this coffee mug has a lid that is easy to disassemble and wash fully. The mug is very slim and VERY tall, so it may be more likely to tip over if you take sharp turns. However, thanks to the design of the lid, it’s not going to spill. EVER! The mug comes with a 5-year heat retention warranty, and it’s made entirely from stainless steel (the bottle) and durable BPA-free plastic (the lid). The result: a durable, long-lasting travel mug that can keep up with your daily use. You can drop it all you want without worrying about it being damaged. At $27, this is one of the priciest travel mugs on the list. It’s a good option if you’ve tried the Contigo and found it to be less awesome than advertised. For those who want something simple and durable, this is the travel coffee mug to consider! 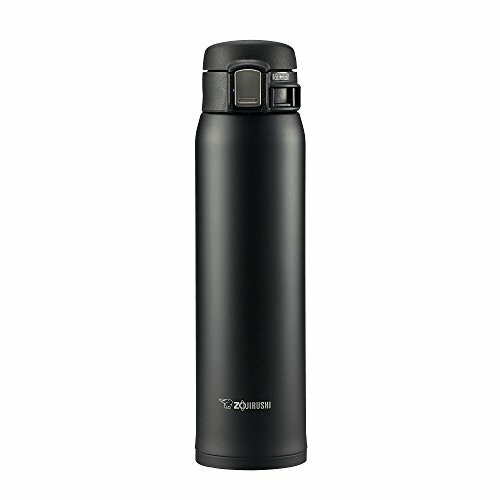 The stainless steel exterior is able to handle a lot of heavy use, and you’ll find that this travel coffee mug thermos will be ideal for taking on the bus or train. It’s tough enough to handle daily jostling without cracking, chipping, or denting. The bottle comes in 10 different colors and designs, including Star Wars, Wonder Woman, R2D2, and Spiderman—great for those who want to let their geek flag fly. The design is surprisingly compact, and the thermos is lightweight enough that you’ll hardly know it’s in your bag or purse. It’s not designed for one-handed operation, but the lid will flick open when you press the button. It takes a bit of effort to replace the lid when you’re done. However, you will find that it’s as airtight a seal as it gets, so there’s little risk of spilling or leaking. The thermos can keep your coffee hot for up to 8 hours, or cold for 12. You’ll find the mug keeps the flavor of your coffee just right—perfect for anyone who is a purist who can’t stand the flavor of plastic thermoses or travel mugs. All in all, it’s a great choice! The price tag on this thermos is just over $26—not too high a price to pay for a great coffee mug. 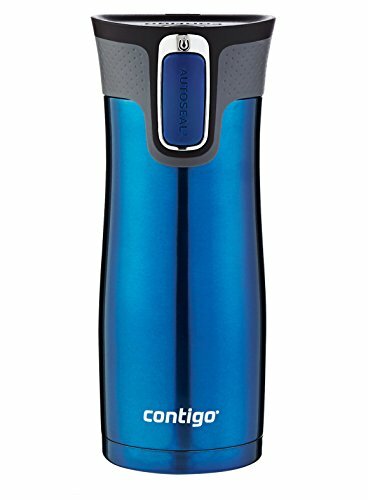 Those looking for a cheaper alternative may want to stick with the Contigo (our #1 Pick), but this is ideal for anyone who is shopping for heavy-duty, daily use. Commuters will love it! These are the coffee mugs to consider if you’re the kind of person always on the go. They’ll keep your coffee warm and provide you with a safe way to carry your coffee around. What more could you ask for?